Are you shocked? We were. Four days prior to taking a positive pregnancy test in April we had renewed our lease for two years; we're now stuck in our two bedroom house until April 2020. 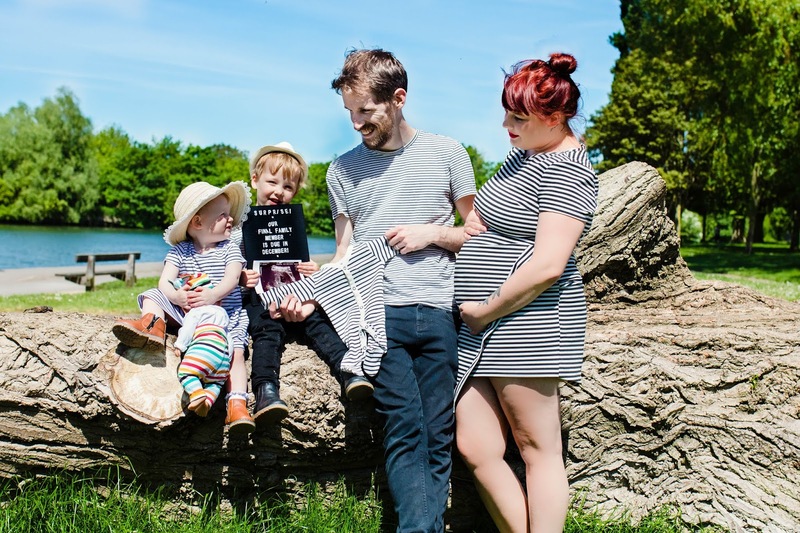 All those worries though are so minor to the fact that we're lucky enough to be having our third child. 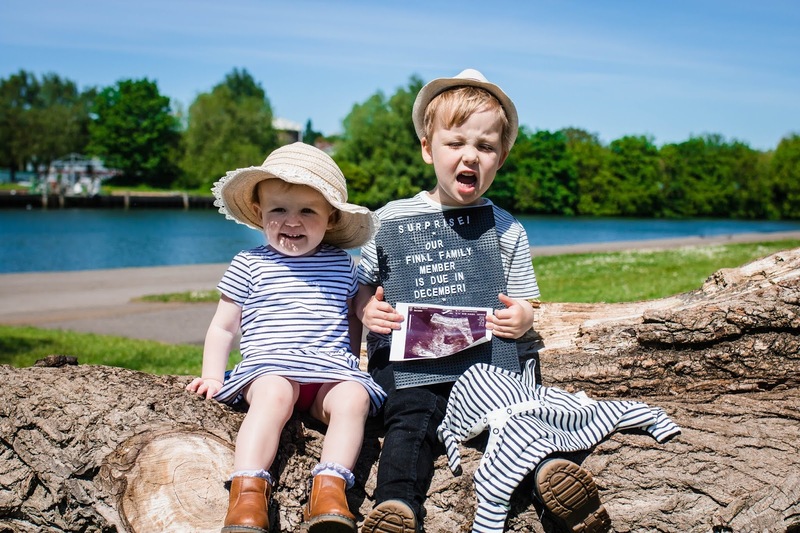 You may remember my blog post a while back where I mentioned baby plans were on hold whilst we travelled on and off for a couple of years until our lease was up and we hopefully got a car and got one of us legally on the road BUT I think this tiny little bean was too eager to be our third baby and wanted to grow and be a member of our family and we're totally okay with that. 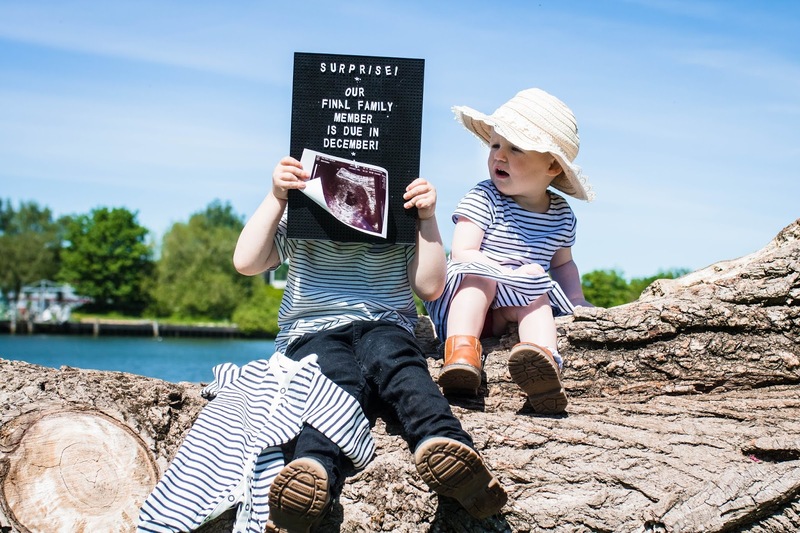 Our final family member is due in December! Lucas and Iris are aware about the baby in my tummy and they're both so excited. Lucas loves watching one born every minute or birth vlogs with me and Iris LOVES playing with "babies" (dolls) and it's adorable. Lucas spontaneously comes up to me and kisses my tummy and says "I'm kissing the baby" and has said it's a girl for about 4 weeks and now he's convinced its a boy and he wanted to call it Flash at one point. Iris doesn't understand at much at the moment because she's younger but I think once we start buying baby bits and my tummy starts growing she'll get it more. I want to book a 4d scan at 28 weeks to help the kids bond with their unborn sibling, especially as we don't want to find out the gender this time. We have discussed names and think we're decided as we're SUPER organised and I cannot wait to start buying little gender neutral clothes and accessories. I also can't wait to make the baby their own little space in our room, shop for prams and just get excited. Sometimes the best things come as surprises and I am so blooming excited and lucky to take this journey. Also as we're cancelling our Stockholm and Helsinki trips for October 2018 and February 2019 we still want to go on a cheap and cheerful trip abroad in October if we can (probably last minute booking) and i'm going to be 32 weeks pregnant so don't want a three hour flight or more and want a bit of warmth and culture but beach/pool fun for the littles, so hit me up with ideas! Once again, I cannot express how happy we all are now (even Brad, once it sunk in) and I can't wait to meet our little baby in December! Christmas just got a lot more exciting.